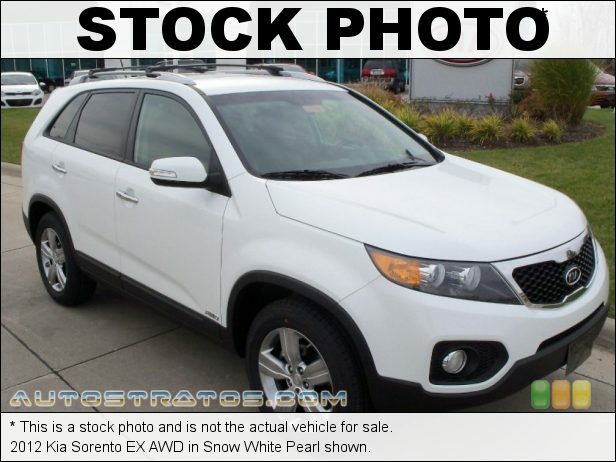 Come see this 2012 Kia Sorento EX. Its Automatic transmission and Gas I4 2.4L/ engine will keep you going. This Kia Sorento has the following options: SNOW WHITE PEARL, CARGO COVER, BLACK, SEAT TRIM, UVO hands-free entertainment system -inc: rear camera display, Trip Computer, Tire pressure monitoring system, Sonar back-up warning system, Smart keyless entry w/push button start, SIRIUS satellite radio -inc: (3) months free subscription, and Silver roof rails. See it for yourself at Mountain States Toyota, 201 W 70th Ave, Denver, CO 80221.